Hot-blooded Georgiana Stockwell will break a man’s heart while he’s eating out of her hand. Moving from the East to join her schoolteacher sister in the rugged wilds of Tonto Basin, Arizona, Georgiana makes quite an impression. Despite her sister’s best efforts, Georgiana creates a culture clash as her modern, free-spirited personality comes up against the code of the West, the unwritten law of the range that everyone is expected to follow. Georgiana’s flirtations and coquetry provoke and outrage the proud Westerners of Tonto Basin. The young and steadfast Cal Thurman is especially taken with Georgiana. Cal is a man of the West through and through, courageous, loyal, sincere, quiet-spoken, and hardworking. Though she never expected to, Georgiana finds herself falling for this man from another world. But things are not as simple as either of them may want; Georgiana soon realizes that loving Cal means coming up against a heritage of honor and violence she couldn’t have imagined. She’s stirred things up too much, and the pride of the West must be satisfied before things can be settled. 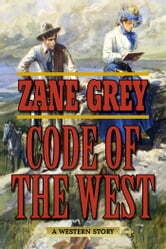 First published in 1934, Code of the West is another thrilling tale by the greatest novelist of the American West. 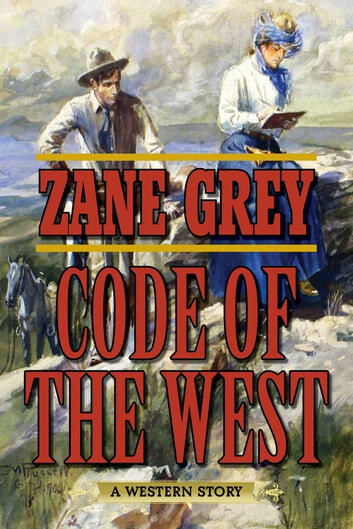 Better than any other writer, Zane Grey vividly shows the West as it truly was, defining itself through an unwritten code of honor and values, and he details the consequences when an outsider refuses to live by it. Skyhorse Publishing is proud to publish a broad range of books for readers interested in fiction that takes place in the old West. Westerns-books about outlaws, sheriffs, chiefs and warriors, cowboys and Indians-are a genre in which we publish regularly. Our list includes international bestselling authors like Zane Gray and Louis L’Amour, and many more. While not every title we publish becomes a New York Times bestseller or a national bestseller, we are committed to books on subjects that are sometimes overlooked and to authors whose work might not otherwise find a home.